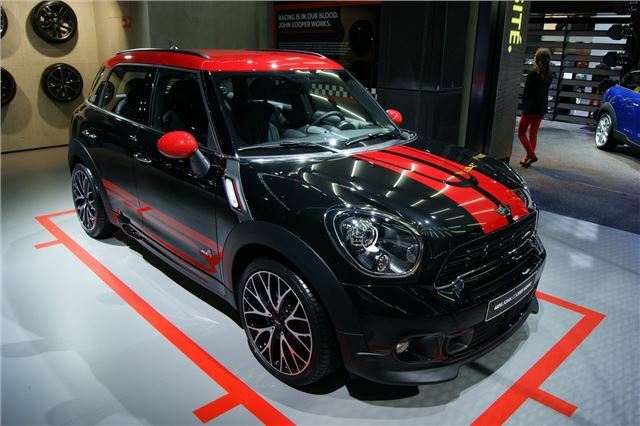 MINI has premiered the John Cooper Works version of its Countryman at the 2012 Paris Motor Show. 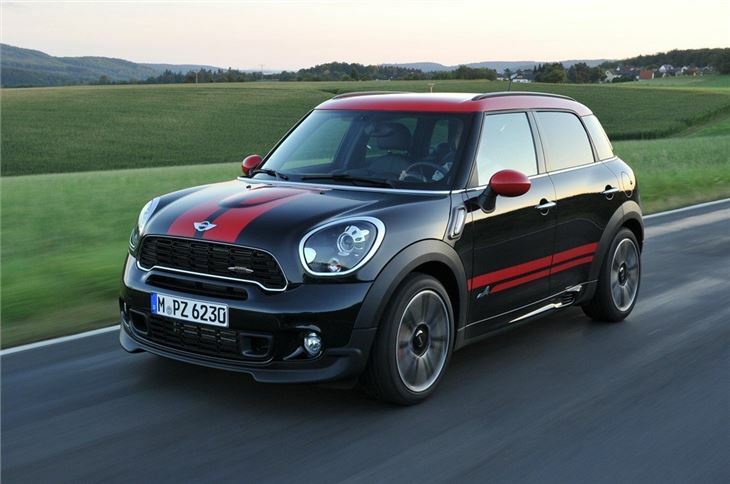 The JCW is fitted with the same 1.6-litre petrol engine as seen in other MINI JCW models, which produces 218PS and 280Nm of torque, or 300Nm with overboost. 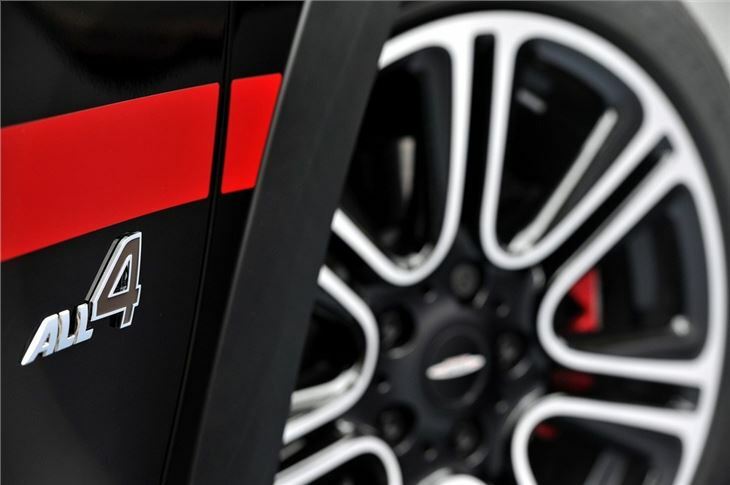 That means brisk performance – 0-62mph takes 7.0 seconds and top speed is 140mph. Official fuel economy is 38.2mpg on the combined cycle and CO2 emissions are 172g/km. 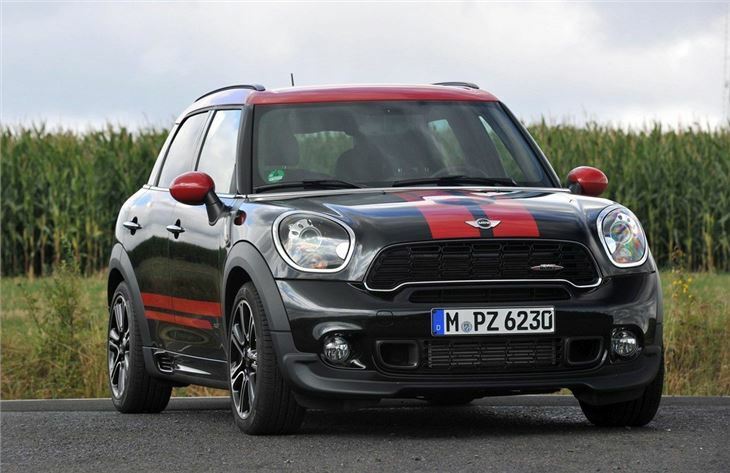 The Countryman is the first all-wheel drive JCW model – drive is distributed between the front and rear axle by an electromagnetic centre differential. All models get a sports styling kit and there are seven exterior paint finishes, along with the usual array of customisation options from roof colours and stripes to door mirror caps. 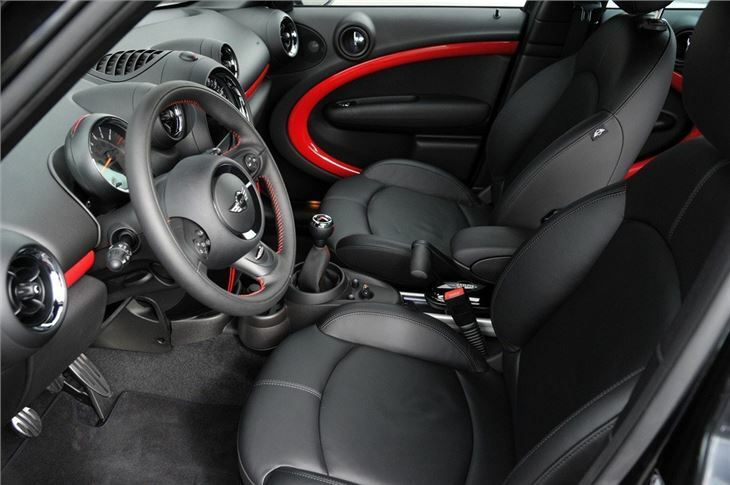 The four-door cabin features sport flourishes too, including sports seats, gloss black trim strips, dark finish dials and a sports steering wheel. There’s also a ‘Sport’ button, which improves throttle response and gives a sportier exhaust note. Either a three-seat rear bench or two individual rear seats can be specified. With the seats in place load space is 350 litres, extendable to 1170 litres with them folded. 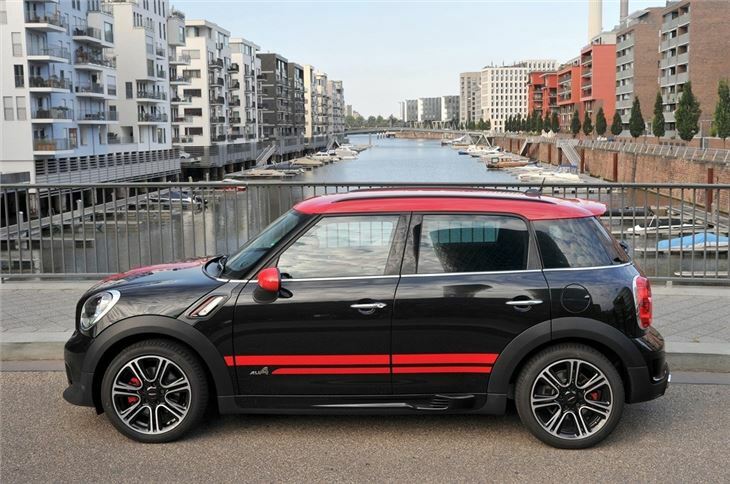 Leather interior, MINI Connected sat nav and infotainment, larger wheels and an improved audio system are among the comprehensive list of options.